Before cooking, thoroughly check whether clams are fresh. You can not eat mussels whose shell is open or broken. Then we wash and scrape off any growths and purify shells with sand. Clams put into boiling water, white wine or vermouth. Fresh scallops cook over high heat for 7-10 minutes. 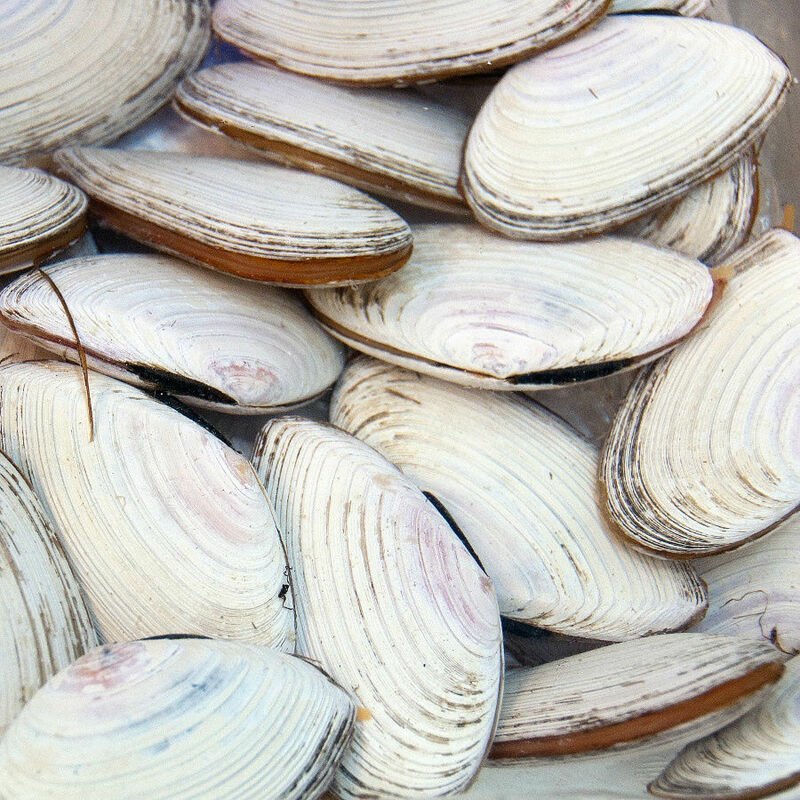 Frozen clams cook faster - for 5-7 minutes. Time start to count from the time of re-boil water. Water / wine, add the butter, thyme and parsley. We boil uncovered. The clams are ready when the shells start to open. After cooking, we check that all the clams have opened fully their shells and throw away those that remained closed. Clams served alone as an appetizer or with toast or as a main dish with fries. To clam fits best dry white wine or champagne.